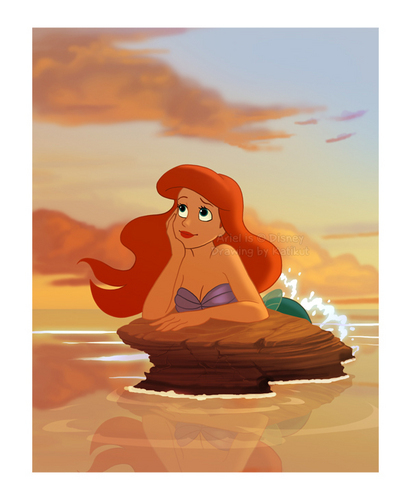 Ariel दिवास्वप्न on Her Rock. . HD Wallpaper and background images in the Ariel club tagged: ariel the little mermaid rock daydreaming fan art reflection.